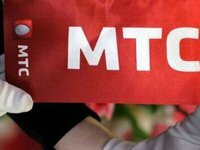 MTS Ukraine, the wholly owned subsidiary of leading Russian mobile service provider Mobile TeleSystems (MTS), will start operating under the brand of Britain's Vodafone in the coming months. MTS and Vodafone have expanded and extended a strategic partnership agreement signed in 2008, the Russian company said in a statement. The rebranding of MTS Ukraine will be carried out at MTS retail outlets and most dealer networks. Business daily Vedomosti, citing sources, reported that in the course of negotiations Vodafone might also get an option to buy a minority stake in the Ukrainian operator. However, MTS's statement does not mention such an agreement.